Hickory Estates is a neighborhood located near the intersection of Hickory Road and Narcissa Road in Plymouth Township. The housing development includes 35 single-family houses spread among approximately 45.5 acres, according to a news article dated May 7, 1984, in The Philadelphia Inquirer. Initial pricing for new houses started at $189,900.00, according to an advertisement in the edition of The Philadelphia Inquirer dated January 4, 1985. About four months later, pricing began at $204,900.00 to $250,000.00; these prices were indicated in a news article in the newspaper dated April 5, 1985. That news article noted that 2 of the 35 lots were already occupied by houses. The main house, built in approximately 1928, was for sale at that time for $175,000.00. Prices have increased through the years in Hickory Estates. Two houses were sold for $525,000.00 and $790,000.00 in 2017, according to records of Montgomery County. Hickory Estates got its name from Hickory Road, which got its name from the Hickory Tree. The intersection of Hickory Road and Germantown Pike was formerly the center of Hickorytown. 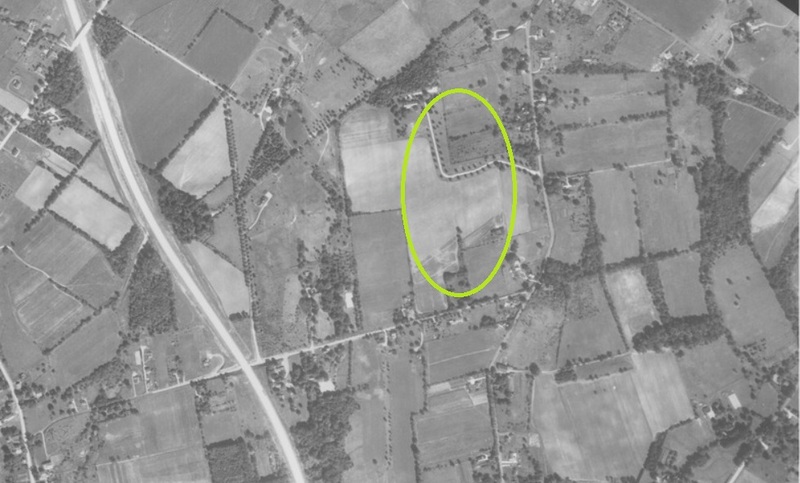 The land now included in Hickory Estates, highlighted in green, was primarily utilized as farmland at the time of this aerial photograph in 1942. Much of the surrounding land was also used for agricultural purposes. By 1958, the Northeastern Extension of the Pennsylvania Turnpike had been built through the area. Development was still quite limited here. 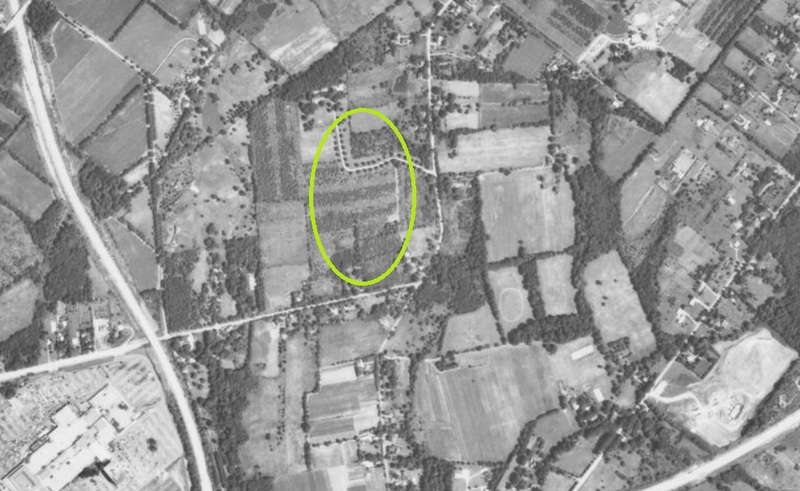 The site of Hickory Estates is highlighted in green. While much of the land was still used for agricultural purposes, major developments were now in the area in 1971. The Plymouth Meeting Mall had opened as a regional shopping center; the Mall is located in the lower left-hand corner of this photograph. There are four streets within Hickory Estates. One of the main streets is Anthony Drive. This street was named after the first name of a son of Mr. Pat Sparango, the builder who built Valley Green Estates. That housing development is located across Narcissa Road from Hickory Estates. 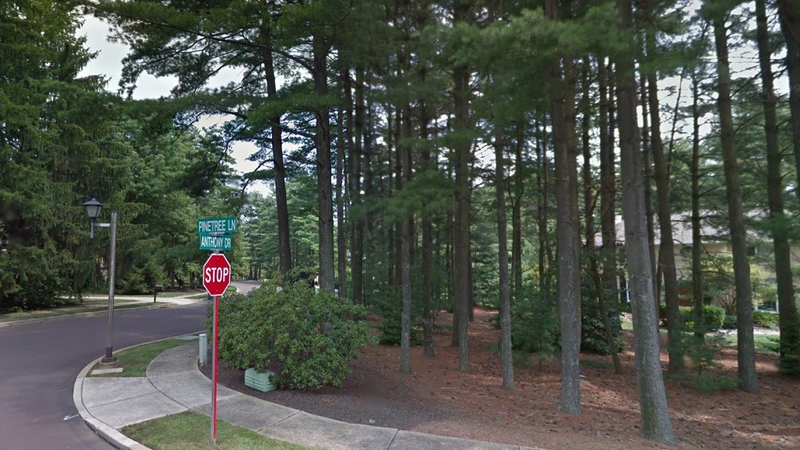 Woodlyn Lane was named after the wooded landscape of Hickory Estates. 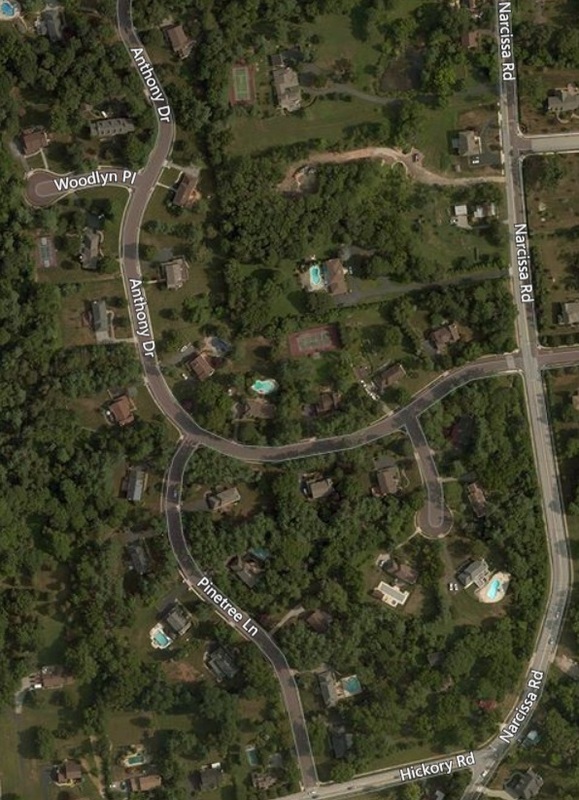 While both Plymouth Township and Montgomery County indicate the name of this street is “Woodlyn Lane”, Google uses “Woodlyn Place” as the name for this street. 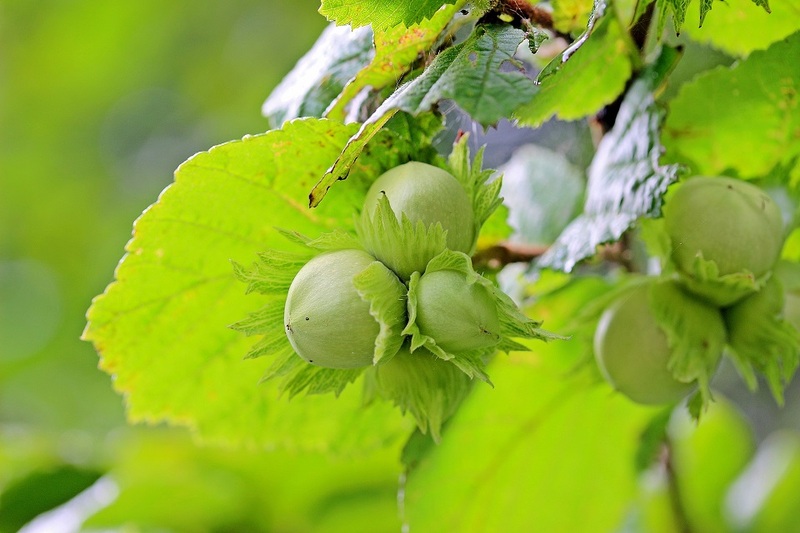 Hazelwood Circle was named after the Hazel Tree. Note that the street signage for this street on site indicates the name of this street is “Hazelwood Drive” and the name used on the Plymouth Township official map is also “Hazelwood Drive”. Montgomery County records, though, indicate that this street’s name is “Hazelwood Circle”. 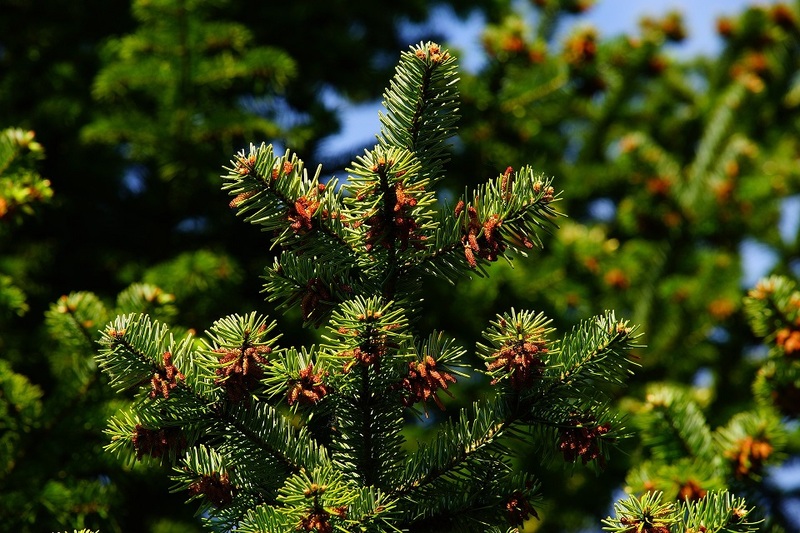 Pinetree Lane was named after the Pine Tree. The top photograph is provided courtesy of Google, 2012. 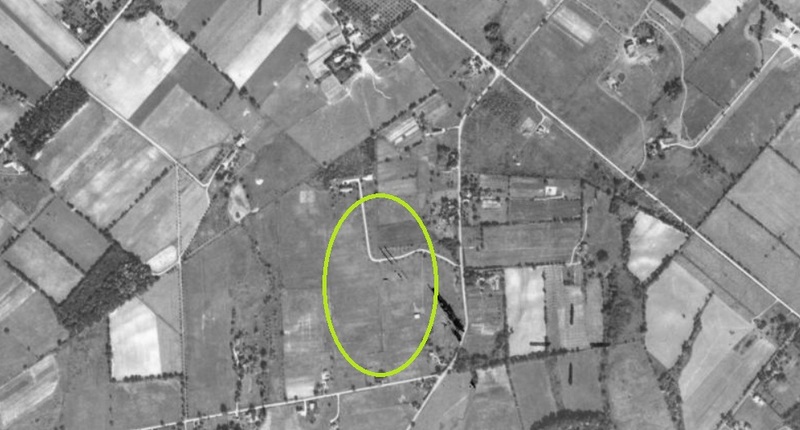 The first three aerial photos are courtesy of the United States Department of Agriculture and the Pennsylvania Geological Survey, 1942, 1958, and 1971. 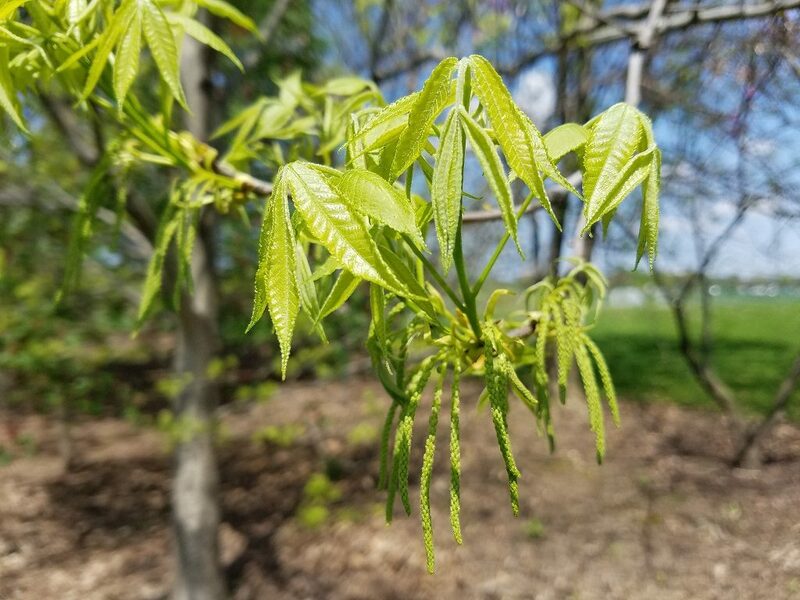 The photograph of the Hickory Tree is provided courtesy of Mr. Dan Keck of the Chadwick Arboretum and Learning Gardens – Arboretum North at The Ohio State University, 2018. The fourth aerial photograph is provided courtesy of Bing, 2014.